Werner's Cairns blog: Natural health from the Miracle Tree - grown locally. Natural health from the Miracle Tree - grown locally. I’m sure not many people have heard the word “Moringa,” and I was one of them. I’m talking about the miracle tree also known as “Moringa Oleifera”. Before I tell you more about this “miraculous” tree, it was a somewhat “roundabout way” for me to get to know about it. My niece in Germany who is using Moringa supplements, asked me if I know anything about this tree and the supplements from it, to which I had to say, “No”. She sent me some links and I read more about it in German. But I forgot to look further into it for some months here in Australia. Then on my morning walk I spotted a van with Moringa Farm etc written all over it, this evoked my memory. I was keen to talk to the driver, but I was sidetracked by somebody and when I looked around the van had gone. So, I went to Google for help and found that there is a business in Cairns not far from me, and I now had an e-mail address and wrote to the company for more information. I got a prompt answer from Charles, the business owner. He told me that he knows me, (small world) saying that my son, Peter, built his house. He invited me to see him, which I did. We had a long and interesting discussion. He told me among other things that producing those Moringa capsules is very labour intensive, so they are not cheap. He recommended for me to take 2 to 3 capsules per day to maintain good health. A pack for 3 months supply, costs $75.00. However, when considering what these capsules contain, I thought it would be worth every penny for the maintenance of good health. Certainly better than having to spend it on chemical medication. YOUR NEW SUPERNUTRIENT & ANTI-AGEING OIL. Moringa Oleifera is a plant saturated with important & natural forms of nourishment. Noted in the bible as 'the miracle tree', the modern world has discovered its potential to help all of us. Modern food & lifestyles makes us undernourished, unhealthy & unwell. 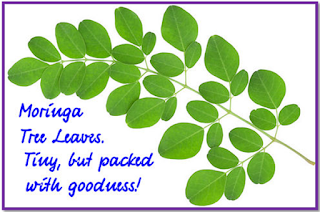 Moringa has helped generations to become healthier & more energetic, & is reputed to cure various illnesses & diseases. Moringa must be consumed freshest to stem nutrient losses, meaning freshly harvested, freshly processed, constantly chilled, never warehoused or aged. The foremost advocate of Moringa is Dr Monica G.Marcu Pharm.D. PHD. Anti-inflammatory compounds - Vitamin A, Vitamin 131 (Thiamin), Vitamin C, Vitamin E, Arginine, Beta-sitosterol, Caffeoylquinic Acid, Calcium, Chlorophyll, Copper, Cystine, Omega 3, Omega 6, Omega 9, Fibre, Glutathione, Histidine, Indole Acetic Acid, Indoleaceton.itrile, Isoleucine, Kaempferal, Leucine, Magnesium, Oleic-Acid, Phenylalanine, Potassium, Quercetin, Rutin, Selenium, Stig¬masterol, Sulfur, Tryptophan, Tyrosine, Zinc, and Zeatin. Studies published in 'Rejuvenation Researches' shows the undeniable youth-preserving effects of Zeatin are due to its ability to regulate cell division & growth, plus delay cell aging. With Moringa's Zeatin, new skin cells grow at a faster rate than old skin cells die. This results in a marked reduction of look and feel of wrinkles on the face and other parts of the body, and a more youthful skin appearance, and Moringa contains "Several thousand times more Zeatin than any other known plant. Antioxidants - Vitamin A, Vitamin C, Vitamin E, Vitamin K, Vitamin B (Choline), Vitamin B1 (Thiamin), Vitamin B2 (Riboflavin), Vitamin B3 (Niacin), Vitamin B6, Vitamin B12 Cobalamin), Alanine, Alpha-Carotene, Arginine, Beta-Carotene, Beta-sitosterol, Caffeoylquinic Acid, Campesterol, Carotenoids, Chlorophyll, Chromium, Delta-5-Avenasterol, Delta-7-Avenasterol, Glutathione, Histidine, Indole Acetic Acid, Indoleacetonitrile, Kaempferal, Leucine, Lutein, Methionine, Myristic-Acid, Palmitic-Acid, Prolamine, Proline, Quercetin, Rutin, Selenium, Threonine, Tryptophan, Xanthins, Xanthophyll, Zeatin, Zeaxanthin, Zinc. Essential Amino Acids - Isoleucine - Leucine - Lysine - Methionine - Phenylalaine - Threonine - Tryptophan - Valine. Non-essential Amino Acids - Alanine - Arginine - Aspartic Acid - Cystine - Glutamic Acid - Glycine - Histidine - Serine - Proline. Some other nutrients - Vitamins B5, D, E, Chlorophyll, Selenium, Superoxide Dismutase, Xanthins, Xanthophyll, Zinc, Lutein, Neoxanthin, Violaxanthin, Fiber, Flavonoids, Folate (Folic Acid), Iodine, Iron, Molybdenum, Phosphorus, Arachidic-Acid, Behenic-Acid, Gadoleic Acid, Lignoceric Acid, Myristic Acid, Palmitic-Acid, Palrnitoleic Acid, Stearic-Acid, 4-(A lpha-L - Rhamnosyloxy)Benzylglucosinolate, 4-(Alpha - L-Rhamnosyloxy), Senzylisothiocyanate; Niazinin A, Niazinin B, Niaziminins A & B, Niazimicin, 28-Isoavenasterol, Brassicasterol, Campestanol, Campesterol, Cholesterol, Clerosterol, Delta-5-Avenasterol, Delta -7, 14-Stigmastanol, Delta-7-Avenasterol, Ergostadienol. All Omegas 3, 6, &, 9. Moringa contains the full spectrum of monounsaturated and polyunsaturated fatty acids, known as the omegas. In fact, ounce for ounce dried Moringainga leaves contain 10 times the omega 3's found in salmon. Omega 3 is an essential fatty acid that plays an important role in cell health, blood clotting, immune function, and in reducing inflammation throughout the body - in blood vessels, joints, and elsewhere. Eating foods rich in omega 3 fatty acids can help lower the risk of diseases such as heart disease, rheumatoid arthritis, stroke, cancer, depression, as well as lower LDL or "bad" cholesterol. Omega 3s, like omega 6s, cannot be produced in the body; they must be obtained by dietary sources. Omega 6 is an essential fatty acid thought to reduce the risk of heart disease, lower total cholesterol levels, specifically targeting "bad" LDL cholesterol, while raising "good" HDL cholesterol levels. Omega 6 may also reduce the risk of some forms of cancer. Omega 9 fatty acids, commonly known as monounsaturated fatty acids, offer important health benefits. Research has shown that Omega 9s are protective against metabolic syndrome and cardiovascular disease. Because Omega 9 fatty acids have been shown to increase HDL ("good") cholesterol and decrease LDL ("bad") cholesterol, they play an important role in reducing plaque build up in the arteries, reducing the risk of heart attack and stroke. Bio-available. The body receives Moringa as pure usable nutrients, not as synthetic supplements. High bio-availability means its nutrients are utilised immediately. Calcium - Up to 8.79 times more bio-available. Chromium - Up to 25 times more bio-available. Magnesium - Up to 2.20 times more bio-available. Also.... * Iron - 1.77 times more absorbed into blood. Zinc - 6.46 times more absorbed into blood. An important note from the manufacturer! 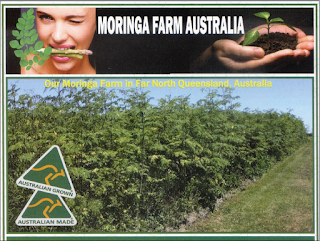 Australia wide, Moringa is still classified as a "Novel Food" & not as `Normal Food', therefore Moringa products cannot be "sold as" a "nutritional supplement" or "food" However, There are no restrictions whatsoever in the using or uses of Moringa. Accordingly, WE DO NOT SELL our Moringa as a 'food' or `Nutritional supplements' but only 'non human food' or raw materials like powder, etc. that you instruct us to produce. Being Australian Moringa Farmers, & also with GMP Processing ,& Laboratory Facilities, we supply (Ready-made) Moringa Items PLUS (Made to order) Moringa raw materials in various forms a customer demands, for whatever uses they need it for. How to obtain Moringa from their online shop? 1. READY MADE (Standard Items) 2. MADE TO ORDER (Buy our harvested leaves etc, & instruct us to process into powder, etc ( Made to order, on demand, raw materials ) are delivered in customer chosen forms of Moringa & come without any instructions or recommended uses. Our specialised processing is, to shred, desiccate, dry, extract, or mill & fill, using temperature controlled drying, air-conditioned processing, with immediate & continuing refrigeration. Our extremely important `Cold Chaining' prevents raw materials to decay, ensuring highest potencies, in whatever use they are meant for. Even our organic foliar spray fertiliser needs `cold chaining'. Separately, we strive to achieve TGA Listings for appropriate products. OUR BROCHURE IS FOR GENERAL INFORMATION ONLY. ANY REFERENCES TO (human) FOOD ARE NOT RECOMMENDATIONS. Thank you for your understanding. So do yourself a favour and visit the shop now at: MoringaFarmAustralia.com.au - and look at MiracleTree.com.au too. Their office is 13B Johnston Street Cairns – down from “Jonsson’s Farm Market”. Phones 1800140826, or 07 40551888. Posted by Werner Schmidlin at 10:30 AM Labels: Moringa, the miracle tree. Werner it is amazing what you come up with. This is so interesting and we certainly had a “WOW MOMENT” reading it. I must admit; I never heard of this tree before, yet we live on the Atherton Tableland. You are a real health “advocate” and thank you for sharing this. What an interesting read, Werner. I had no idea that this tree existed. I found it amazing that you had to hear about it from Germany. Thank for sharing this and other postings, you are an absolute treasure trove. It's amazing what you can sometimes find on your doorstep - but interesting that you first had to learn about it from the other side of the world! The Universe works in wondrous ways! And as always - nature knows best! If only health authorities would learn that, and work with nature instead of against it! Herbs can boost your health.